Acknowledging the often unique demands borne by clergy and their families, the Department of Pastoral Life strives to offer support, serving their needs that they, in turn, may serve others. Through workshops, seminars, and retreats, the department seeks to equip the clergy of the Orthodox Church in America by providing them with the necessary resources and tools to maintain and enhance their ministries. In encouraging personal growth and fostering supportive relationships between those engaged in ministry, the department works to ensure that the leaders of our parish communities are continuously growing and maturing personally so that they may continue to lead the faithful with wisdom and zeal. The department also endeavors to respond to the unanticipated, meeting those unplanned challenges that real people in this real world often encounter. Thus, it seeks to offer support for the caregivers of our faith in their times of crisis, helping clergy and their families as they deal with a wide variety of issues. From mental, physical, and spiritual health to estate and financial planning, from the wellbeing of widowed clergy wives to funding college education for the children of clergy, and in many other circumstances, the department encourages the leaders of our faith to lead from a place of health. 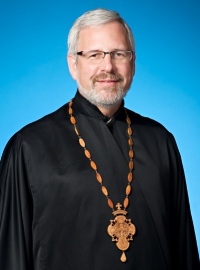 The Department of Pastoral Life operates in coordination with the Office of Institutional Chaplains, which gives priests and qualified laypeople who have obtained Clinical Pastoral Education and are in involved in institutional ministry the opportunity to be officially endorsed as Orthodox Christian chaplains by His Beatitude, Metropolitan Tikhon. It also works in conjunction with the other offices and departments of the Orthodox Church in America to help them bring the content and vision of their diverse ministries and callings into the hands and lives of our clergy.